Chef Mike: Open That Bottle Night! We started with a salmon skin salad with mixed baby greens, Feta Cheese, Thai spiced Peanuts, and a Dijon Balsamic dressing. We Paired that with a Logan (Talbot) Chardonnay – Great rich Chard possessing a light touch of oak and balanced with lush coconut vanilla pineapple marshmallow notes. A very luxurious Chard at a steal of a price! For dinner I did a pan seared toasted sesame crusted Opakapaka (Hawaiian Pink Snapper) topped with a Buerre Blanc sauce and finised with scallions and fried capers – Combined that with a Penne pasta mixed with sauteed Italian veggies and roasted tomatoes finished with a light pesto. For dinner we opened 2 Pinots…. a 2004 Bell Glos (By Caymus) “Clark & Telephone” Sonoma Pinot and a 2004 Fogdog Sonoma Pinot. Both showed great and had years left in them – The Great cherry fruit and earth combined to make these “classic” Pinot Noirs. Just another chance to remind everyone that Pinot Noir can be a great red wine for seafood lovers! AND as Always I wish we had more invitees as we never are able to finish the wine! PS – After saying goodbye last week to another friend from my High School swimming days, I want to encourage everyone to make as the most of an OTBN opportunity. This ride we are on together is far too short and unpredictable not to make the most of every get together with friends and loved ones!!! All my best and in vino veritas! Sometimes, opportunities arise that can’t be passed up. Even at the expense of missing one of my Cultural Appreciation of Wine classes at Napa Valley College. 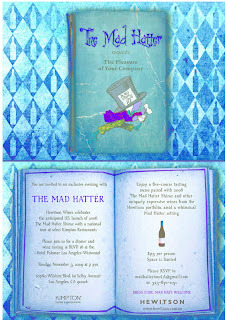 The instructor of my Cultural Appreciation of Wine class is Paul Wagner, Grand Poobah of Balzac Communications. Balzac Communications put on a wine industry trade show featuring wines of the Rioja region of Spain. When the call went you for volunteers to help at the event, my arm went up so fast that I re-aggravated my rotator cuff and I had to be iced down to prevent further inflammation. I was able to justify skipping school in my own mind, as my Father was down from San Juan Island in Washington. He comes down each year to help with the grape harvest for my small home winery. This year, harvest happened to fall on his birthday, October 3. I had no choice but to treat him like a Cellar Rat for the day. The harvest had to get in and he had to help bring it. And bring it, he did. Did I feel bad for making my dad work on his birthday? Nahhh…… But I was grateful and so I decided a fitting birthday present would be to take him to a wine tasting event at The Palace Hotel in San Francisco. This event featured some of the best wineries in the Rioja region. Their representatives, or in some cases, the Winemakers, poured 4 wines each. A few cheated and brought more, but I promised I wouldn’t tell anyone. Wine has been made in the Rioja region of Spain for more than 1,000 years. The combination of a warm Mediterranean influence from the east and the cooler inland climate from the south and unique soils and topography make this one of the great winemaking regions of the world. Rioja is the oldest quality wine region in Spain, gaining Denominacion of Origin (DO) status in 1926. Riojo is also the first,and still only one of the two regions, to be promoted to the superior Denominacion of Origin Califcada (DOCa) status, reserved only for wines of the highest quality. Front and center, and the predominant native grape of Rioja, is Tempranillo. 75% of the planted acreage in Rioja is Tempranillo. Tempranillo is the foundation on which many wines from Rioja are built. This red grape ages gracefully and results in a beautifully balanced wine in the hands of one of the region’s many experienced Winemakers. On hand for the event were 16 wineries from Rioja. Each different and unique, but all of great quality and tradition. I was there to help, so upon arriving, Dad and I were assigned the task of opening the wines to be poured. The aromas were delightful and I can say with great satisfaction that neither myself nor my father gave into temptation and drank directly from the bottles before the tasting event even began. Participants began to trickle in and when we felt we could sufficiently blend into the crowd, Dad and I grabbed glasses and tried to decide what wine to taste first. So many great Bodegas. A little about the wines of the region first. 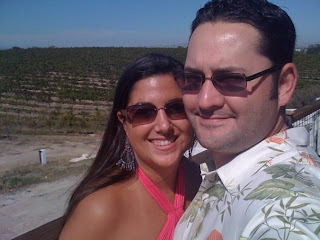 We learned that most of the wineries were pouring “Red Crianza”. This is a type of wine that is from the Rioja region and has been aged in oak for at least one year. A wine labeled Crianza will be a younger wine. Wine labeled as “Reserva” will have been aged longer than a Crianza, a minimum of three years with at least one year in barrel and a Gran Reserva will have been barrel aged the longest. Gran Reserva wine is aged at least 5 years, with at least two years in barrel. American oak barrels are surprisingly common. Some wines are aged exclusively in new American oak barrels. Along with Tempranillo, many other Spanish varietals are used. Graciano, Mazuelo, Viura, Granache and Maturana Tinta, among others. There were very few white wines being poured, but we found a few. From Bodega Alicia Rojas, S. A., we tasted the Finca Alicia Rojas first. This is a 2007 barrel fermented wine, made from Malvasia de Rioja grapes. It was aged 6 months on it’s lees in 100% American oak barrels. This wine had a sweet nose for me, but finished crisp and dry with flavors of apple and pear. We both really liked this offering. We also tasted her 2005 Red Crianza, called Solarce Organic. This wine has aromas of ripe cherry and has a good balance of acid, with an astringent finish. 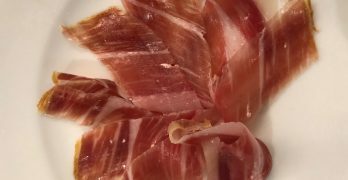 We next stopped at the table for Bodegas Ontañon, S. L. We spoke with Laine Boswell. She did a wonderful job educating us on the climate of Rioja and the surrounding areas, shedding some light on why the wines of this reqion are so acclaimed. We tasted the “Arteso” from this winery. It is a 2006 vintage blend of 75% Tempranillo, 15% Grenache and 10% Graciano. The vineyards from which the grapes are harvested are some 50 years old and the wine is aged in new oak barrels and undergoes malolactic fermentation. This wine is rich and full, with hints of the barrel toast on the nose. We found the marketing of this winery to be one of the best. I am sure that a visit to this winery would be fantastic. They not only have a passion for their vineyards and wines, but also for their history and extensive art collection. Next was a stop at Bodegas Tobia, SL. We tasted the “Oscar Tobia”, with is a 2005 Reserva, 90% Tempranillo with 22 months in barrel. A lovely smokey nose was accompanied by excellent balance. The star of the show, however, was the Alma Tobia. This 2008 Rose of 60% Tempranillo, 25% Graciano and 15% other grapes (I still don’t know what varietal “Other” is) had 5 months in French oak barrels. Deliciously fruit forward, this barrel fermented Rose has aromas of vanilla and brown sugar and ripe strawberry. This is a very food friendly wine and was my favorite of the show. Psst….this winery is looking for a west coast distributor. On to Bodegas Viña Ijalba, S.A. Here, we tasted the 2005 Dionisio Ruiz Ijalba. This is made from 100% Maturana Tinta grapes. we spoke to the representative, a very dapper gentleman, who told us that this grape has been traced back to writings from 1622 and was nearly extinct until rescued by Viña Ijalba who planted approximately 6000 vines of this rare and unique grape, propagated from a small patch of 20 vines found in an old vineyard. This wine was fermented and aged in French oak barrels for 13 months and the caramel and brown sugar on the nose are very apparent. Flavors of cherry and sharp red fruit were complimented by a slightly bitter and astringent finish. One of the most interesting stops was at Senorio De Somalo, S. L. This expressive winemaker spoke no english, but he had a young woman as a translator. Though her, he explained to me that his white wine, made from 95% Viura and 5% Malvasia, was cold settled for 48 hours and then racked to stainless steel fermentation vessels where the temperature was kept to about 58-60 degrees during fermentation to preserve the aromatics of the grapes. This crisp and clean wine resonated of lemon and lime. This winemaker’s voice, speaking in Spanish, was melodic and emotional. He was very passionate about his wines. I appreciated the way he took my glass to pour me a sample. He poured some of his wine in my class, swirling it to collect the remains of the previous wine. He then dumped and poured again, making sure his wine was the only wine in my glass. My father and I spent several hours tasting, discussing, working as volunteers for the event, eating, chatting with new and old friends and moving from one winery in Rioja to another, all within the confines of a finely decorated room at The Palace Hotel. We learned much of the region and it’s wines and people. I can’t think of a better way to travel, short of actually traveling. I introduced my Father to Paul Wagner. Remember him? Yeah, he is the guy who teaches that wonderful Cultural Appreciation of Wine class at Napa Valley College. Paul was the host for this great event. Class was later that evening. I told Paul I wouldn’t be making the class. Of course, he asked my Father to write me a note, excusing me from class. Next week, back to class. Note, or no note. Pound chicken flat. Sauté breasts in butter and set aside, keeping warm. Sauté vegetables with wine until tender. Blend in sour cream, add chicken. Serve with rice or noodles. Thursday: Alamo tacos and then packing for SLO and Paso – wine loving here we come! Friday, 7:38 pm: Justin – check. 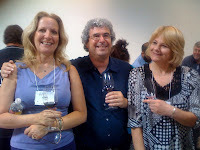 Opolo – check – Jada – check – Tablas Creek – check -Meet Nelson and Jeanie at the private 70s wine party because Jenny and Danielle joined a wine club (because they served gourmet cheese) – priceless! Next stop Firestone for tri tip. Saturday, 11:16 am: Breakfast at Louisa’s in downtown SLO then off to the wineries again. Wahoo! 1:26pm: Barrel tasting at Bianchi. Oh yum. Tablas – ok. Justin – good. Bianchi – amazing. Eos – very good. Jada – mmmm good fun. Not sure how to blog remotely – I have never blogged. Opolo – heaven. Robert Hall is next. 2:39pm: Oh! Sitting on the patio at EOS, listening to the band and eating an EOS wine infused sausage. Now that is how I like my sausage. 3:50pm: Peachy Canyon – sooooo good! Fantastic. 4:04pm: Jankris has super tasty sparkling wine. Peach and rasberry – oh my! You know we love our champagne! 4:31pm: Stick a fork in me. 7 wineries today – 4 yesterday. Hunt cellars – very good expensive wine but no air conditioning. It is 90 degrees – come on. Wine and sweat don’t mix so well. Apple farm for a nap before dinner. 5:07pm: hmmm- sitting on the AppleFarms patio for their special guest complimentary happy hour. And then her final post 7:54pm: a dinner on the patio at Novo. It was great seeing the return of old members as well as the addition of new members to our restart of the Grape of the Night Group. The goal of this group is to get together once a month and sample many different wines from different regions, countries or wineries in order to develop an appreciation and understanding of how much diversity exists within a given varietal. The motto of the group is to look for the unusual and search out what you don’t know. This is a learning experience for all of us. I would also like to thank Guy Lelarge ,of Valencia Wine Company (VWC), for graciously hosting our group. Julie was our server during the meeting and in typical VWC fashion we were truly pampered. Julie was always on hand taking care of us as the night went on. It was quite an experience sitting at a table with the ambiance of tasting wines at candle lit tables, a trait that VWC has offered its patrons since they opened. Even Eve Bushman, of Wine Blog 101, joined us for this evening of wine education. Now on to the topic of the Grape of the night which was Zinfandel wines. Red Zinfandel is an “American Classic” wine. The original origin was believed to be from native Californian grapes. Research and studies have found that the zinfandel grape actually originated in Italy, but is now primarily grown in California. Zinfandel grapes grow best in cool, coastal locations. The color of a Zinfandel wine is deep red, bordering on black. Characteristic flavor of Zinfandel is a spicy, peppery wine, with a hint of fruity flavor. The flavors of berries or dark cherries are often noted on the palate. Zinfandel wines go great with such foods such as pizza, burgers, etc. It’s also hearty enough to match up with thick red sauces in your favorite pasta. Serving temperature for a red Zinfandel should be around 65 degrees. It should also be served in a narrow-mouthed glass to get the full effect of the wine. Most people like to drink zinfandels young – within a year or two, but there are also quite a few Zinfandels that age well. There is a big change in Zinfandels when aged as the flavors are far more mellow. It is your choice if you favor the taste of a young Zinfandel over an old one! 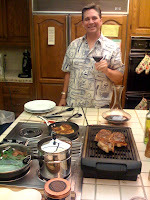 We had one great example of a Zinfandel with some age that evening, a bottle of 1999 Fess Parker from Santa Ynez. I will talk more about this wine later in the article. As a note, the red Zinfandel grape is also used to make white Zinfandel wine. The difference is that the skins are removed and not used in making white Zinfandel. It is the skin that provides the deep red color of the red. It is interesting that with the skins removed, a sweet white wine is made but add the skins and you get a robust flavor and color. Zinfandel grapes are planted in over 10 percent of vineyards in California. DNA fingerprinting of the Zinfandel grape from California shows that it is genetically equivalent to the Croatian grape, Crljenak Kastelanski, and also the Primitivo, a variety traditionally grown in the “heel” of Italy, where it was introduced in the 1700s. The grape found its way to the United States in the mid-19th century, and became known by variations of the name “Zinfandel”, a name of uncertain origin. White Zinfandels out sell red Zinfandels by as much as six times in the United States. Zinfandel grapes have a high sugar content which produces alcohol contents that exceed 15 percent. The taste of the red Zinfandels is influenced by the ripeness of the grapes from which it is made. Red berry fruits like raspberries and dark cherries predominate in cooler areas, whereas blackberries, anise and pepper notes are more common in wines made in warmer areas. Wines from extremely hot regions, such as Temecula, tend to display a raisin/prune profile. 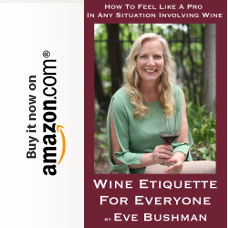 It is this authors belief that careful scheduling of when to pick Zinfandel grapes must be followed in extremely hot regions. I tasted “Katrina”, a Zinfandel from Briar Rose, recently that had the peppery dark berry flavor profile without the typical raison or prune flavors found in many from this region. I would expect nothing less coming from Briar Rose. For more information on Briar Rose go to Eve’s Wine 101 Blog and search for “Briar Rose”. Below is an interesting article, by Alan Boehmer, about the very unique history of the Zinfandel grape. Perhaps no other wine grape enjoys a history so shrouded in mystery as Zinfandel. Not only do we not know its origin, we don’t even know how it got to California in the first place. What we do know is that it quickly became California’s most widely planted red wine grape and remained so for over a century. Few single wine grapes have enjoyed the phenomenal success of Zinfandel. There are annual festivals devoted exclusively to it. There is a professional society whose membership includes thousands of consumers and almost every winery in the world that produces Zinfandel wine. Ever hear of a society devoted exclusively to Gewurztraminer? Or a major festival featuring a thousand Pinot Noirs to the exclusion of all other wines? We’ll be reporting on two of these amazing Zinfandel events in our next article: The Zinfandel Advocates & Producers (ZAP) Annual Zinfandel Festival in San Francisco; and the Annual Paso Robles Zinfandel Festival held each March in Paso Robles. But first, some background. There has been much discussion over the past decade or so about Zinfandel’s origin. All agree that it descended from a European cultivar in the mid-nineteenth century and was offered by a New York nursery. That may seem odd since the Zinfandel we know today has not been successfully grown in the northeastern U.S. Some very vocal advocates claim Zinfandel is identical to an indigenous Croatian grape. Napa Valley winemaker Mike Grgich (Grgich Hills Winery) opened a winery devoted to this grape in Croatia. We tasted the Croatian version and his Napa Valley version side-by-side and found striking similarities. More recent DNA studies seem to point to a connection with the Italian Primitivo grape grown in Puglia. But some argue that the Italians got it from California since there is no evidence that it existed in Italy prior to the twentieth century. Others have contended that the Italians may have gotten it from Croatia! We were recently amused to see that an Italian Primitivo producer took Zinfandel cuttings from Ridge Vineyards in the 1990s and is now marketing an Italian Zinfandel in California. Perhaps the greatest mystery surrounding Zinfandel is that it is so difficult to cultivate successfully outside of California. We’ve tasted examples from South Africa, Oregon, Washington State, and Australia. The Australian example was actually quite good, but didn’t come close to competing with top level California Zinfandels. All others were little more than curiosities. Since Zinfandel is equally at home in California’s hot interior valleys (Dry Creek), cool coastal regions (Templeton), and high altitude locations (Sierra Foothills), why no great examples from Washington or South America? It’s a mystery. We know of no other varietal that offers the spectrum of styles we see in Zinfandel. A Zinfandel can be white (light pink) or red, dry or sweet, sparkling (carbonic maceration) or still. It can be late harvested for a dessert wine or made into a splendid Port. It even finds its way into sacramental wine thanks largely to its low cost, high alcohol, and mild tannins. Over the years, we’ve seen remarkable shifts in Zinfandel style. After the bristly, tannic Zinfandels of the 1960s, the varietal all but disappeared from public view. The most widely purchased red wines of the years following carried generic names like Hearty Burgundy and Mountain Red. These generic wines were largely Zinfandel-based, but we were never told. Then came the overwhelming enthusiasm for sweet White Zinfandel that lasted more than a decade. True, red Zinfandel slowly regained its lost ground while many wine lovers were ogling the latest Merlot. We’re happy to report that the best Zinfandels ever made are being crafted now. Some are the products of medium-sized wineries especially devoted to this varietal, such as Ravenswood, Ridge, Seghesio, and Rosenblum. But very small family-operated wineries are offering splendid examples, too. Nadeau Family Vintners and Toucan Winery in California’s Central Coast region come to mind. Zinfandel is America’s wine. Current styles are big and bold, soft on the tannin, hugely fruity, and increasingly high in alcohol. We’ve seen many Zinfandels intended as table wines reach more than 16% alcohol and one that came in at 17%. Wines with this depth and concentration might best be served in cordial glasses and enjoyed with a bite of dark chocolate. The average high quality dry Zinfandel on today’s market will have an alcohol content of around 14.5%-about a full percentage point above most traditional New World red wines. This wine was very unique. Most of us expect fruits with a spicy/peppery profile from a Zinfandel, but this wine had 10 years age in the bottle and as you can see above the spicy/peppery profile was replaced with cherries. I enjoy old world wines, where you can taste the fruit with smooth subtle earthy flavors in the background. The 1999 Fess Parker Zinfandel was reaching its peak and provided a profile of mild fruits and smooth tannins. The spices and pepper were not dominant as would probably be found in a younger Fess Parker Zinfandel wine. I really want to thank Marianne for bringing a wine that displayed a totally different perspective of a Zinfandel. The color is an incredibly dark garnet with violet accents. The nose is explosive with intriguing aromas of stone fruit, strawberry, and cinnamon. The mouthfeel is enormous with a bold array of peaches, dried herbs, minerals, ripe blackberry and leather. The finish lasts forever with well-balanced tannin and acidity. The Morisoli Zinfandel is true to form, yet another beauty from this distinctive vineyard. The volcanic soil, old vines and field blend produce a wine that is always aromatically teasing and lush but balanced on the palate. Dark ruby colored, it has inviting aromas of mixed berries, cola, baking spices and strawberry preserves. On the palate, deep yet bright flavors of ripe raspberries and blackberries along with sensations of toffee and creme brulee are followed by a round mouthfeel and an elegant, balanced harmonious finish. In conclusion, you can see that there is an almost cult following to the Zinfandel Grape as Alan Boehmer stated in his article. I know personally that a few of my friends are big followers. Mike Perlis, fellow author and Blogger on Eve’s Wine 101, loves Zinfandels and has introduced me to some very unique examples. Regions, temperature, terroir and age provide a very wide profile in tastes and aromas. Zinfandel…You’re a master of disguise. Who is that masked man known as ZIN? You hide behind a mask of contradictory styles. Are you the soft, sweet hombre oft seen in the Central Valley, disguised in a vibrant pink cape? Or perhaps you are the fire-breathing rogue of the Sierra Foothills, a spicy-natured, tannic beast. How will you appear next?…and where! Always willing to change your facade to suit the environment, your true nature seems to be adaptability, itself. You are a legend in California; friend of the poor pisano, and delight to the pompous patron. Truth is, you’re no robber at all…you give to all! How about I interview you about wine peeves since you’re too busy to write this week? Once at —, the large waitress totally manhandled the bottle I had brought in. Of course, she broke the cork and spent the next half hour trying to fish it out. 2. Ever get stuck in the market and not find anything worth buying in the wine department? I don’t buy wine at the market. 3. Anyone ever give you a dismal bottle and then wait for you to drink it? Gotten a few dismal bottles but fortunately haven’t had to drink them in front of the giver. 4. You’ve had wine with me…do I have a clue at all? Totally. And you make it fun when others [me? I hope not.] take wine much too seriously. 5. Do you ever sneak a flask into your Laker games? Never tried. Although once we bought the KCal suite at a charity auction for a game and at half-time they came around with a cart full of Ravenswood to taste. 6. Will you try to now that I’ve suggested it? Security personnel are very large. Besides, I rarely go these days. My friend who has season tickets has temporarily moved to Kentucky so he has sold this season off. His seats are good and expensive. 7. Have I killed your writer’s block? 8. Ever drink with someone you’d only just met on Facebook besides me? 9. Where do you keep the keys to your wine locker? With me at all times. You never know when an emergency will strike. 10. Do you always pay such close attention? OCD will do that to you. I want live music, good light appetizers and a “true club” atmosphere, where they know my name! And maybe the occasional wine education class? ALL CORKED UP (Wine store and bar): Well, this week alone we have a Sonoma wine tasting tonight, a Chicago Style Prime Rib night tomorrow and great live music Friday and Saturday with a FREE member wine tasting party on the 25th! I want to learn all I can about wine. When they have information and tastings, sometimes with food, its all the better! If I could suggest one… New world Vs old world, the major differences between the two and how it affects the final product. This is a great topic to understand from both sides. For me I’m at a conundrum. I want it all, I’ll go to it all. But…instead of running all over the charts here, do we ever identify in advance what we want and then go find it? Like a Holiday list, or even, a grocery list? Why do we just go for what’s offered? Dr Stephen Covey made a fortune writing the Seven Habits of Highly Successful people. They PLAN their life. Write DOWN their goals. See the END RESULT of what they are working for. I do like a little education with my wine. I’d like a sommelier, or near sommelier, in attendance so that I can actually learn something at a tasting. I try and choose events that I will gain something from. Not just drinking wine, but learning about the wine, the winemaker, the foods paired. Are you getting my drift? They will remember my name, that’s a given I think. Michael Hoefflin Foundation: Drink More Charitably! WASHINGTON, D.C., October 16, 2009 – Vintners Charitable Cooperative (VCC) is pleased to announce the addition of a second Charity Partner, the Michael Hoefflin Foundation for Children’s Cancer (MHF), a nonprofit organization that provides financial and emotional support to children diagnosed with cancer and their families in Santa Clarita and the surrounding valleys. As a VCC Charity Partner, MHF will receive 50% of the net profits from an online-only wine club created to help nonprofit organizations raise money while at the same time celebrating the world’s greatest winemakers. Individuals can become wine club members for MHF at a specially-designed website, www.charityvintner.org/mhf. Members will then twice per year receive exceptional, boutique wines from VCC’s Vintner Partners the first of which will come from Chappellet. This Napa Valley winery recently received several impressive Wine Spectator ratings, including a 91 rating for its 2007 Chardonnay. The first VCC MHF Wine Club offering will include two bottles of the 2007 Chardonnay and two bottles of 2007 Mountain Cuvee for $122.00 plus tax and shipping. The deadline to order the Chappellet wines is November 21 and it will be shipped on December 2. After the deadline, Vintner and Charity Partners will change to offer an ever-changing variety of wines to club members. If interested parties join after the November 21 deadline, club members’ first shipment will be in Spring 2010 from Dovetail Vineyards, a specialty Napa Valley producer of exceptional, low-production Cabernet Sauvignon and Pinot Noir wines. VCC Founder, Mackie Barch, recently shared his excitement for the new partnership. 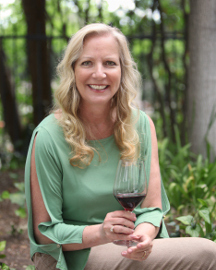 “Being able to tell the stories of both the winemaker and the charity in a way that helps the missions of great charities like the Michael Hoefflin Foundation, and promotes some of the best wine in the world, what could be better?” said Barch. VCC is the first organization of winemakers dedicated to charitable causes. Our goal is to celebrate and share the stories of both winemakers and charities by partnering them together in a unique way so that a charities’ friends and supporters (and the general public) can drink charitably and artisan winemakers can expose a new, national audience to their wines. 50% of the net profits will support VCC Charity Partners through semi-annual wine club memberships offering exceptional wines from VCC Vintner Partners. 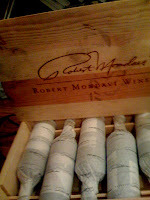 For more information, visit www.charityvintner.org. 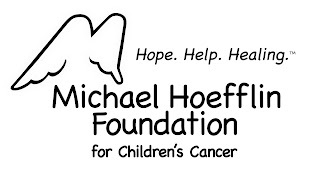 The Michael Hoefflin Foundation for children’s cancer is a 501(c) (3) public, non-profit organization that seeks to defeat pediatric cancer one child at a time. The Foundation provides vital financial, emotional and practical support to children with cancer and their families in the Santa Clarita and surrounding valleys. For more information about the Michael Hoefflin Foundation, please contact (661) 250-4100 or go to www.MHF.org.